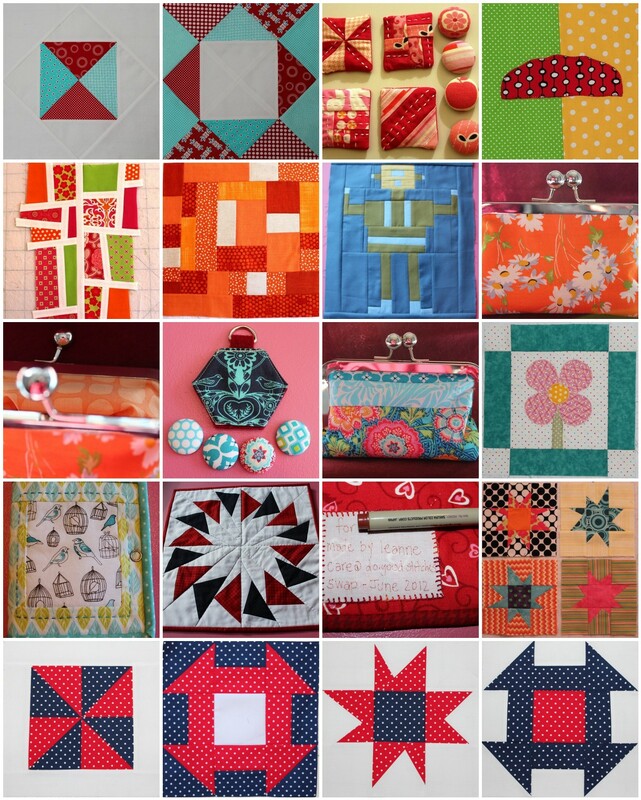 I didn't link up to Lily's Quilts FSD last month - when I looked at my list I only had three things to show ! so I've included them with this month's projects - luckily I got a few more projects done in July. 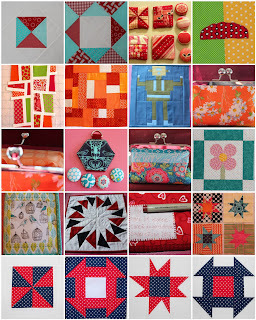 I'm almost up to date with all of my swaps and bees and so I'm hoping that this month I'll be able to get some block of the month blocks done for me - I think I'm only six months behind! Lovely mosaic! Lots of pretty things! Wow, what a wonderful assortment! I love the mix of improvised and traditional blocks. I myself go back and forth between the two. Hope you're enjoying your new home!